Wow, bring on Spring - I'm tired of winter. 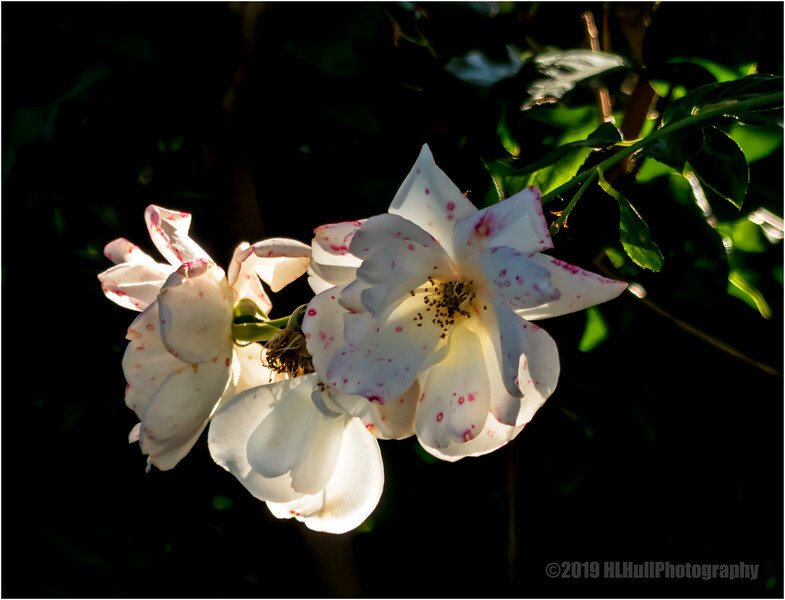 Gorgeous light on these unusual roses! I've never seen speckled (freckled?) roses like this. Very nice with the light coming through them. Gorgeous - perfect natural light and shadows!